As vice president of brand strategy, marketing and communications at Genting Hong Kong, Loui Lim is always well suited and booted for any occasion. Tom Ford and Cerruti 1881 are among his favourite designers, and his ability to successfully mix and match—whether it's with a statement jacket, a patterned coat or just with a classic white shirt—earns him major points in the style stakes. Nothing pulls together a casual white shirt and black pants combo quite like a statement jacket, and Loui completed his look with a Ports 1961 military jacket. 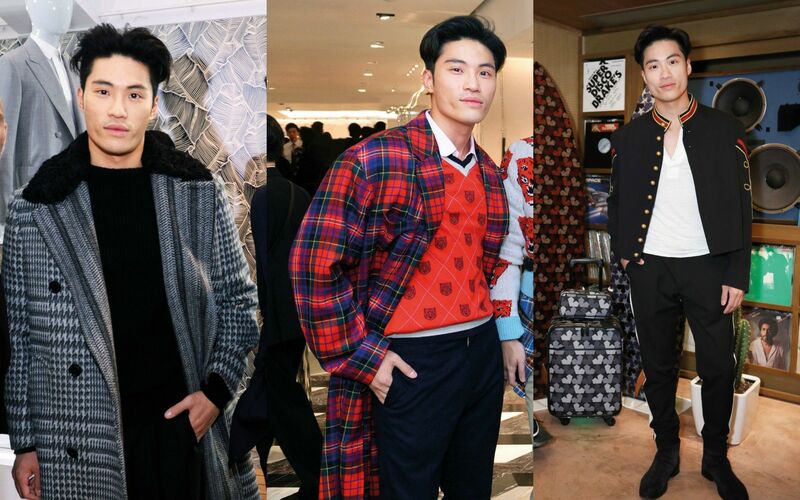 The fashionisto puts a stylish twist on a patterned look as he mixes and matches a checkered coat with a bright, tiger motif sweater—all from Gucci. A Louis Vuitton Tambour Horizon watch pairs best with a clean and simple outfit, like this Tom Ford shirt worn a pair of crisp white trousers. Keep it simple with a classic shirt and tie look like Loui, but add a bit of edge to the outfit by throwing on a leather Emporio Armani jacket. You can't go wrong when you pair a patterned coat to an all-black outfit—as proven by this full look from Cerruti.